In the latest episode of the Business Marketing Podcast, Pete talks to Moe Bedard about some of the business strategies that have helped make him such a success. He also shares his secrets to the 7 Levers of Business. The 7 Levers (aka drivers of profit) are Traffic, Opt-Ins, Conversions, Average Items Per Sale, Average Item Value, Average Transactions Per Period, and Margins. Moe started the Business Marketing Podcast to help business owners market their businesses both online and offline with real-world modern solutions without all the BS hype. 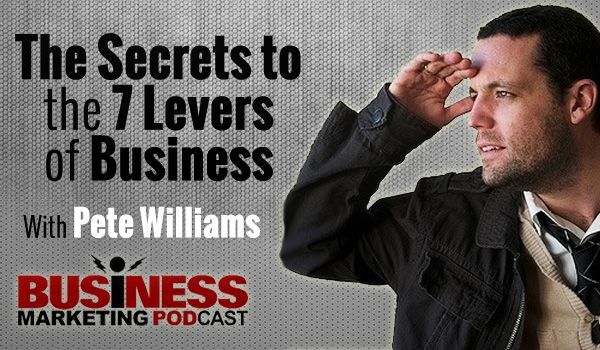 Listen to this episode now: http://www.businessmarketingpodcast.com/7-levers/.